In this Nancy Drew games review post is a list of games released 2008 to 2010, based on the famous fictional teenage sleuth. 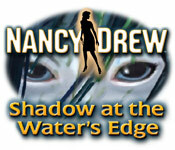 The Nancy Drew PC detective games has become a very popular mystery PC games series with over 20 game titles so far! Including hidden object games, strategy games and point-and-click adventures. 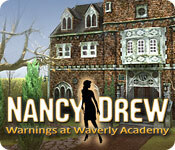 For details of other top Nancy Drew PC games visit my previous post, link included below. The games in this post are listed in order of release, including summary of the background story, a quick review from me plus a link to where you can get the free or full downloadable versions for PC online (where available). Step into the shoes of world-famous detective Nancy Drew in Nancy Drew(R) - Phantom of Venice. Somewhere beyond the bright piazzas and open markets of Venice, Italy lurks a masked art thief. Despite months of investigations, the local police have no clues and valuable pieces of artwork continue to vanish. Now it's up to you, Nancy Drew, to solve the case! Use clever disguises to infiltrate a dangerous crime syndicate, collect clues, and capture the caped culprit before he, or she, strikes again. An interactive adventure for players of all ages, Nancy Drew(R) - Phantom of Venice is full of mysterious fun! * Released 2008 by Her Interactive, Inc.
UK Amazon: 5 in 1 PC Bundle. 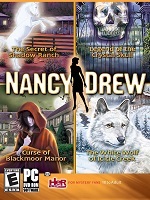 This Nancy Drew PC game bundle includes Danger By Design, Creature Of Kapu Cave, White Wolf Of Icicle Creek, Phantom Of Venice and Haunting Of Castle Malloy . 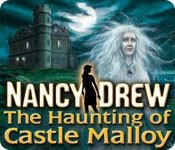 Unveil a ghostly legend and find a vanished groom in Nancy Drew(R) - The Haunting of Castle Malloy! Touted as the most romantic event to grace the ruined halls of Ireland's Castle Malloy, the Simmons-Mallory wedding was supposed to be a fairytale beginning, but now the groom is missing! Did a banshee crash the wedding or is this a case of cold feet? 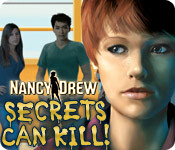 Help Nancy Drew unravel the knot of scattered clues and scary superstitions and uncover the truth. You'll to catch more than a bridal bouquet to make this is a happily ever after! Dare to play Nancy Drew(R) - The Haunting of Castle Malloy today! Join Nancy Drew for all-new fun in Nancy Drew(R) - Dossier(TM) - Lights, Camera, Curses, an original hidden object adventure full of mystery and intrigue! Strange things are happening on the set of the film, "Pharaoh". When the producer calls Nancy for help, she can't resist the opportunity to get to the bottom of a real Hollywood mystery. Is someone trying to sabotage the movie or is it a curse? Search for hidden clues, solve brain-bending puzzles, complete challenging mini-games, and save the picture before it's too late! Nancy Drew fans of all ages are sure to delight in Nancy's latest adventure and the in-game tutorial makes it easy for everyone to play. 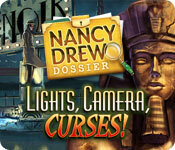 Help Nancy Drew crack an all-new case in Nancy Drew(R) - Dossier(TM) - Lights, Camera, Curses! * My review: An interactive HOG, great fun and with plenty of replayability. 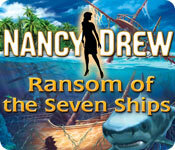 Dive into danger and solve a 300-year old Bahamian mystery to save your best friend in Nancy Drews Ransom of the Seven Ships, another thrilling adventure for our beloved sleuth! In the Ransom of the Seven Ships you must find the treasure before this vacation paradise turns deadly! 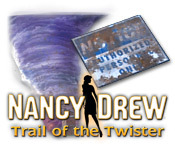 * Released 2009 by Her Interactive, Inc.
Diffuse an explosive situation in Nancy Drews Dossier Resorting to Danger, an exciting new hidden object mystery for all junior detectives! 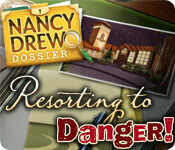 Download the full-unlimited version of the engaging Nancy Drew Dossier Resorting to Danger game, and catch the bomber before it's too late! * Released 2010 by Her Interactive, Inc.
UK Amazon: 2 in 1 Bundle. Includes The Trail of the Twister and Shadow at the Water's Edge. Nancy Drew heads for Japan where she’s staying at a traditional ryokan (inn) for a little RnR with Bess and George, but when reports of a vengeful ghost start scaring away the guests, Nancy’s vacation takes a turn for terror! It’ll be up to you, as Nancy Drew, to uncover the secret that lies beneath the surface, before the ghost can take its revenge in Nancy Drew: Shadow at the Water’s Edge! UK Amazon for: PC and Mac. For more top Nancy Drew games, check out my previous post: Best Nancy Drew PC Games - Part 2.